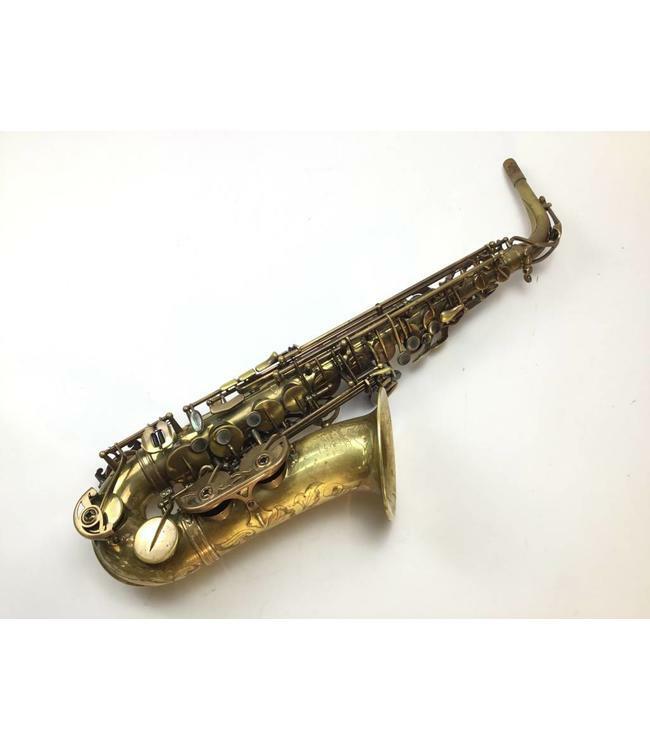 Used unlacquered P Mauriat alto saxophone in very good condition. Features are metal resonators, bluesteel spring and large bell for more projection. Plays with a warm dark sound. Original Walt Johnson style case included.